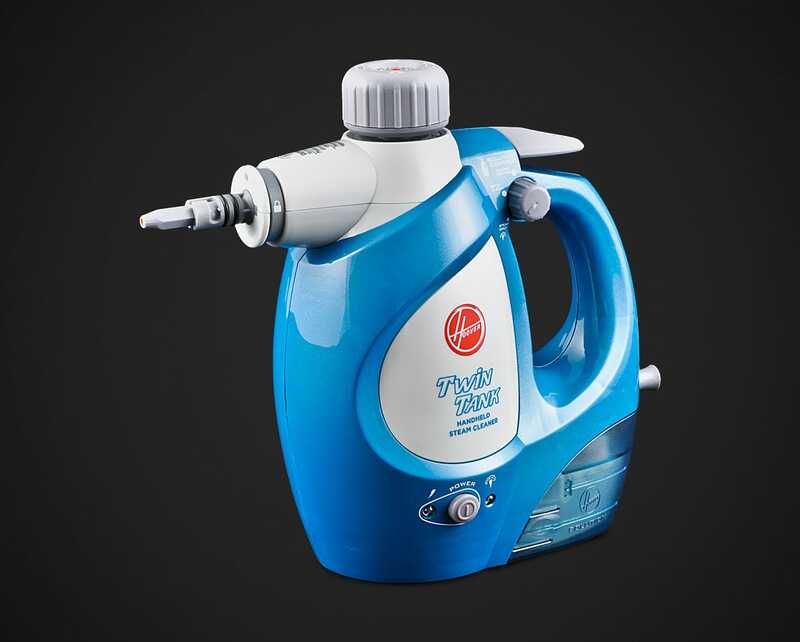 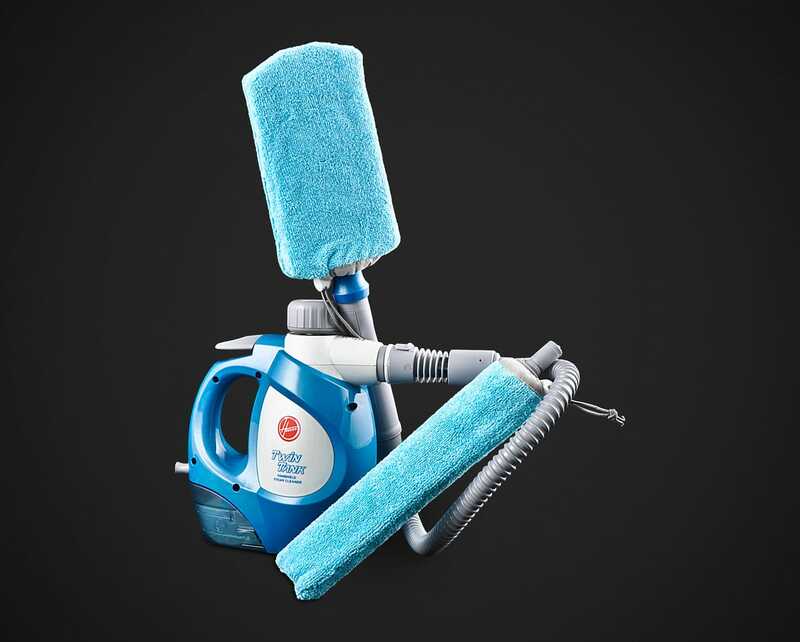 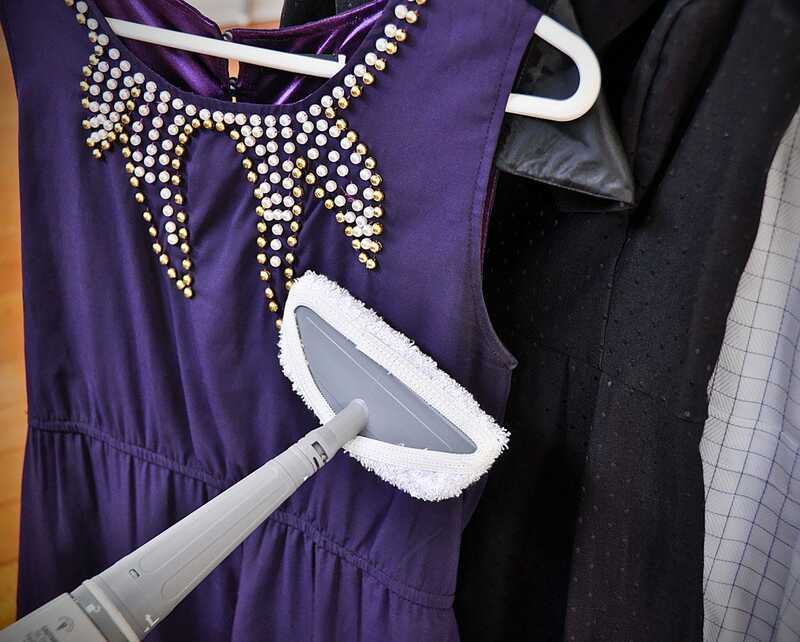 This Hoover Steamer is designed to be a handheld unit, making it easy to carry and use. 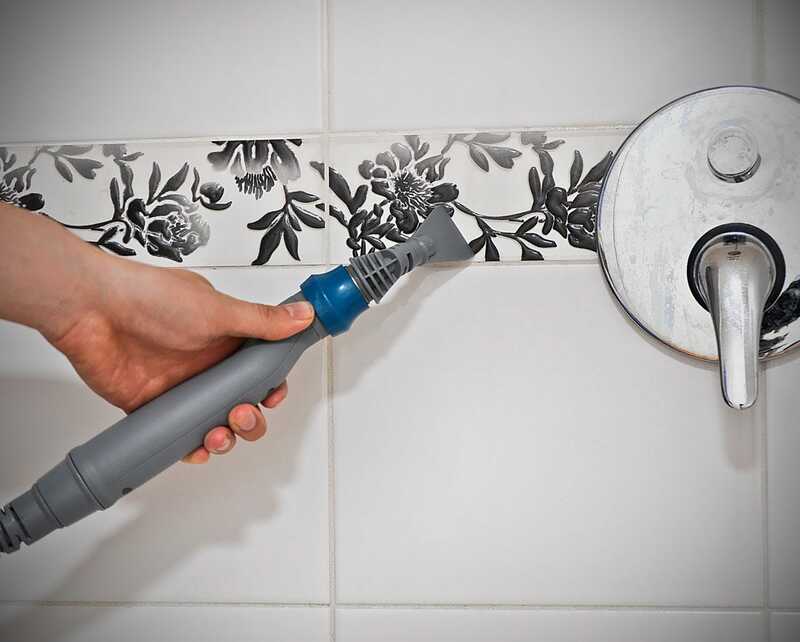 It uses the power of steam to remove grime and dirt, and is particularly helpful when cleaning kitchens and bathrooms. 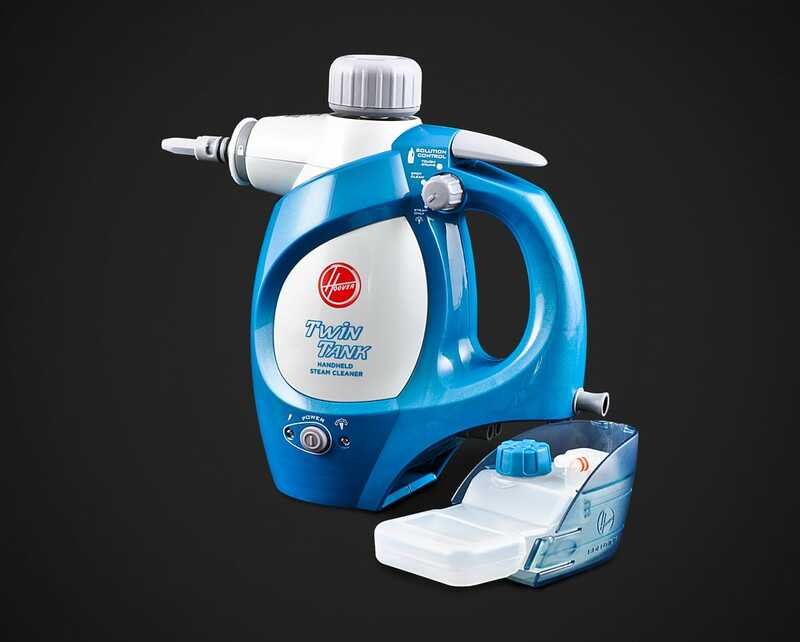 While the unit only requires tap water to generate steam, this model also includes a separate tank for adding cleaning solution if you wish to boost your steam cleaning power. 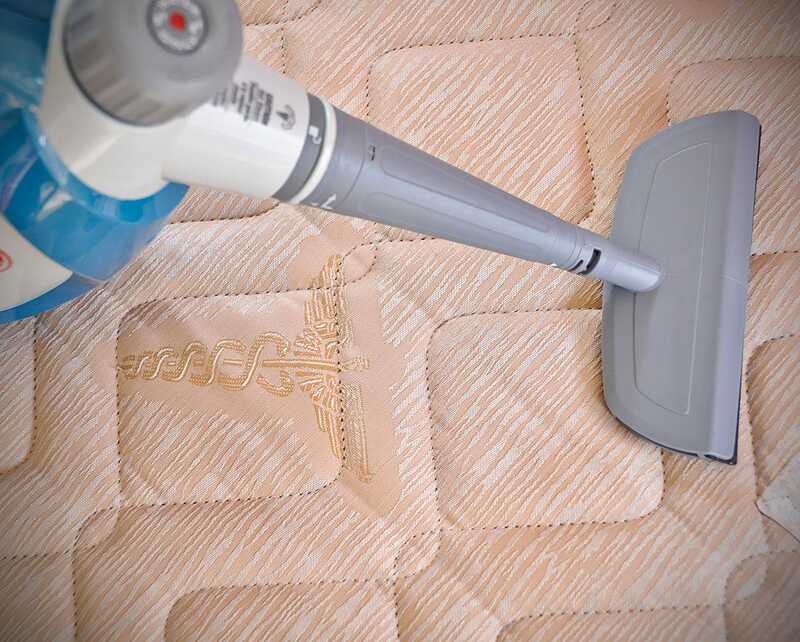 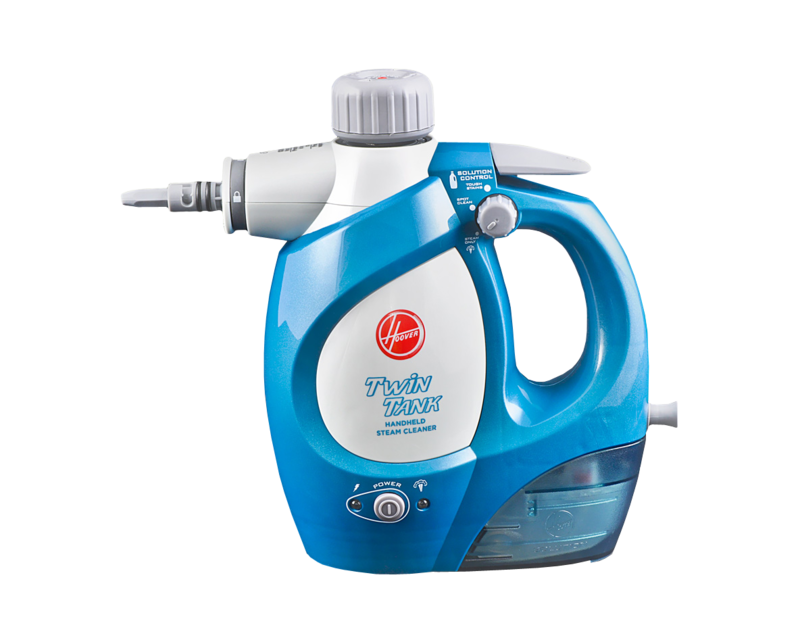 You can also control the amount of solution used as you clean, with three simple settings available. 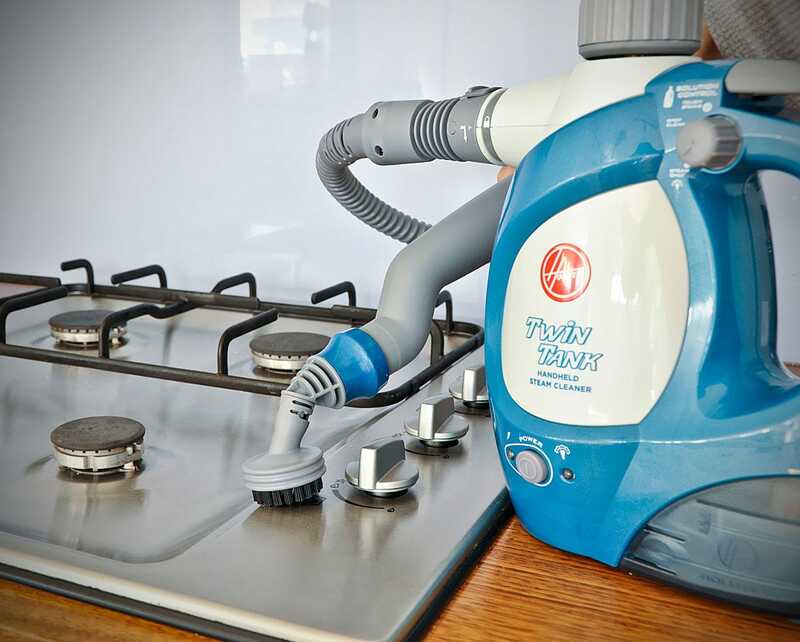 The Hoover Handheld Steamer includes a full range of attachments so that you can get the most out of your machine. 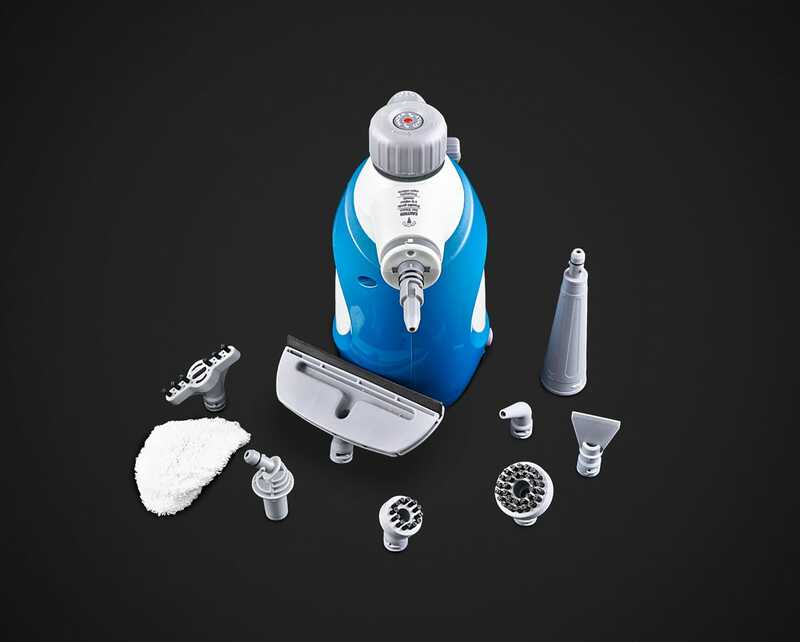 It includes multiple surface cleaning tools, a grout tool, a window cleaning squeegee, and four other brush attachments, all in a convenient Hoover storage bag. 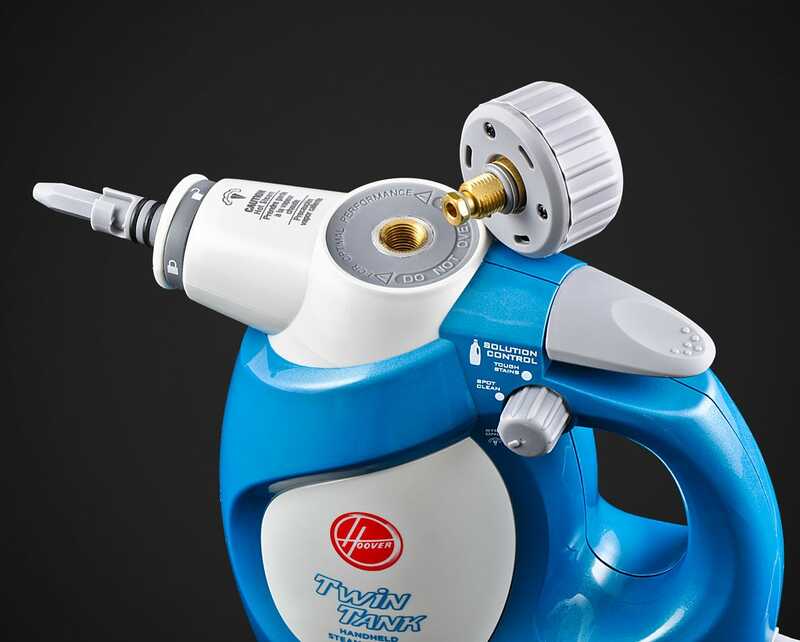 Designed to generate high-pressure steam, this Hoover model features many user-friendly features such as a safety cap, comfort-grip handle and easy trigger system. 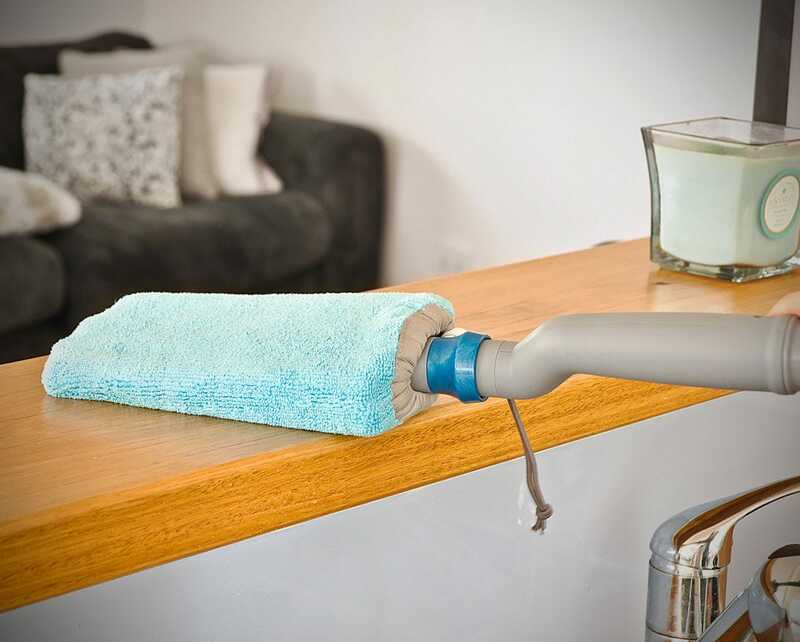 If you are constantly cleaning your windows and mirrors, then this hanheld steamer could be ideal. 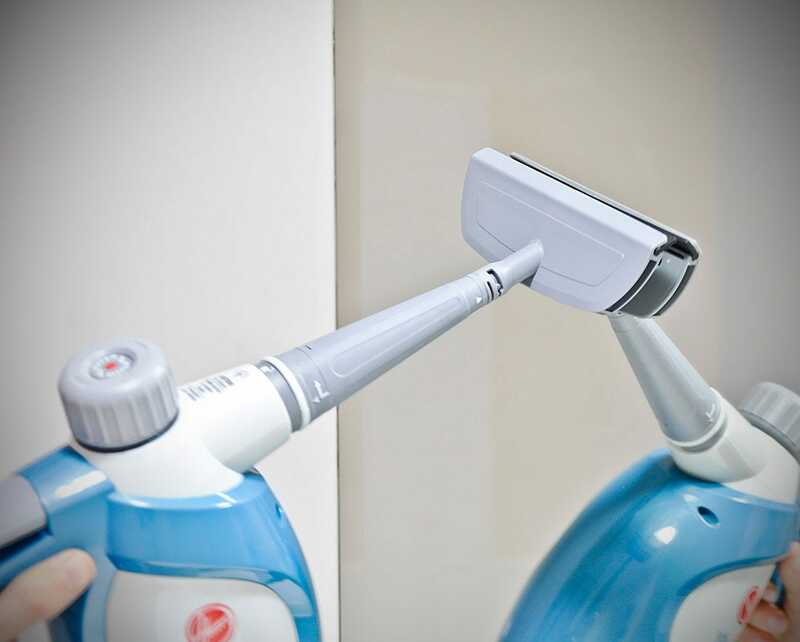 It includes a window squeegee as well as a window pad to help remove spots and streaks from your windows with ease. 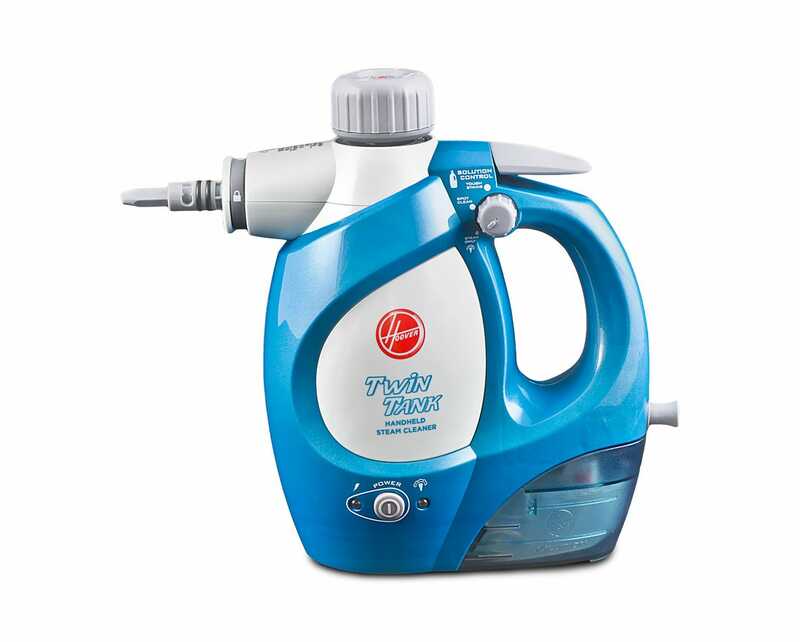 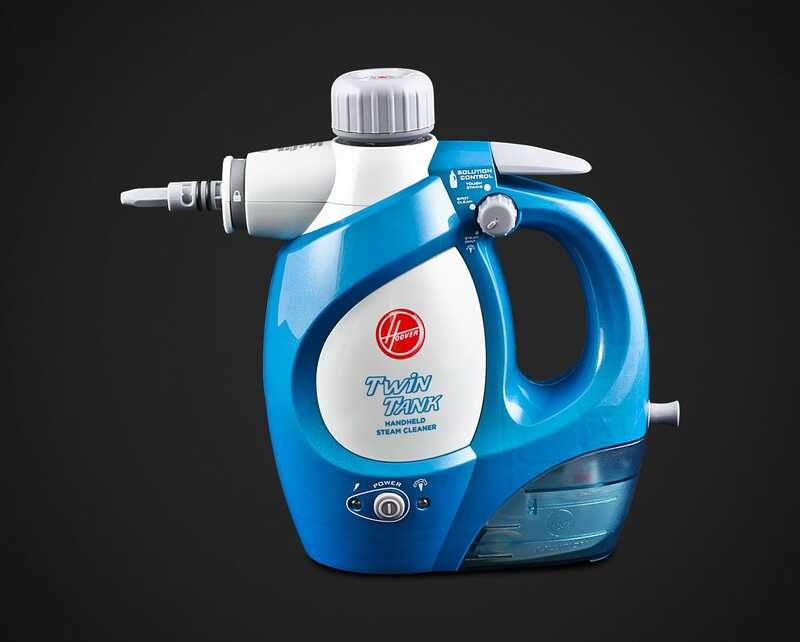 Included with every model is a large surface cleaning tool, which easily attaches to the unit and can be used to quickly steam-clean and sterilise benchtops, appliances and other large surfaces. 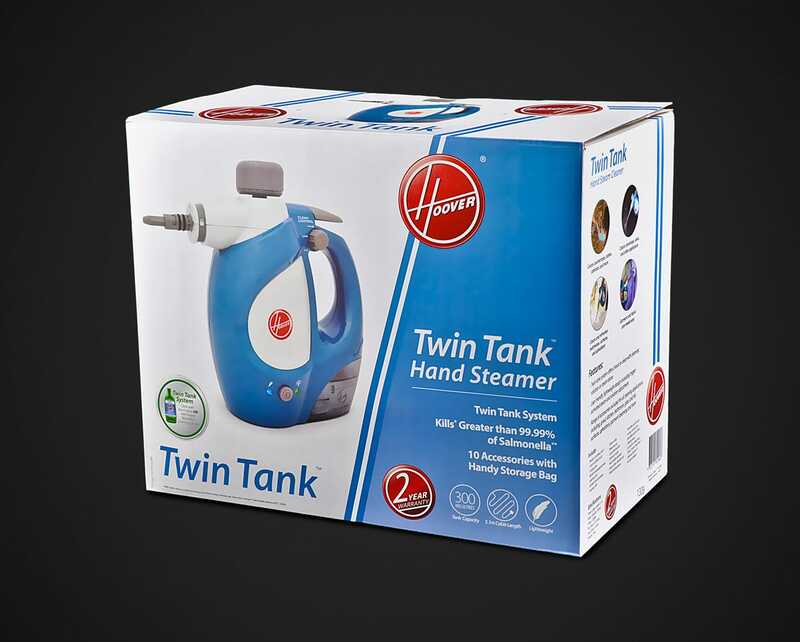 The Hoover TwinTank Handheld Steamer comes with a 2-Year Hoover Warranty.